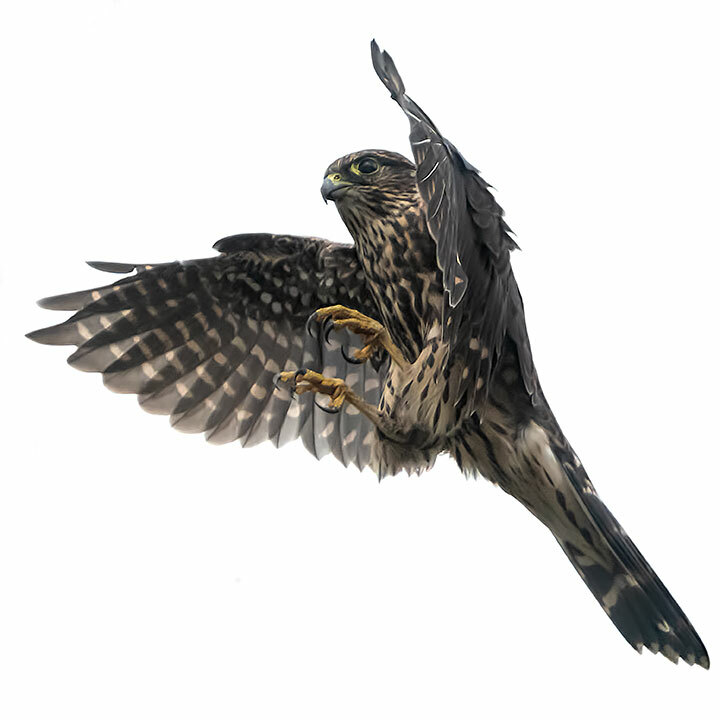 A falcon is a small raptor that uses speed to prey upon insects, rodents, and small birds. We have two falcons present year round (plus three occasional visitors). The smallest of our regular falcons is the Kestrel (80–165 g). Slightly heavier is the Merlin (160–240 g). This last week I watched each of them feast on insects. A Kestrel chased, caught, and consumed, what I suspect, is a sawfly. 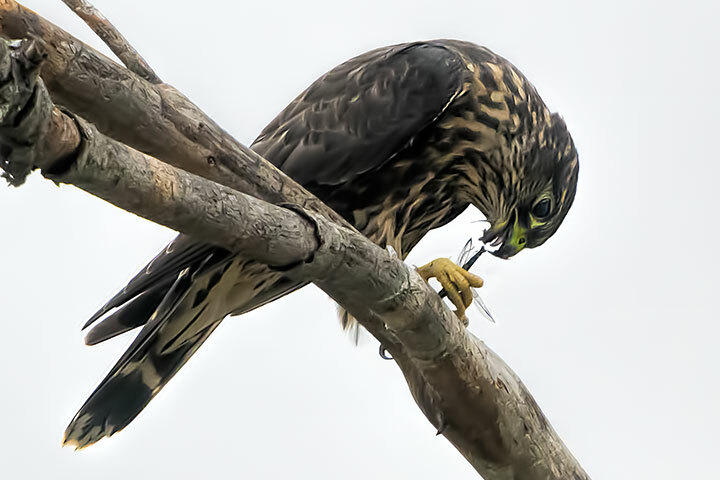 A Merlin chased, caught, and consumed a dragonfly (a darner). If a dragonfly sees this, annihilation is at hand. This entry was posted in birds, bugs. Bookmark the permalink. 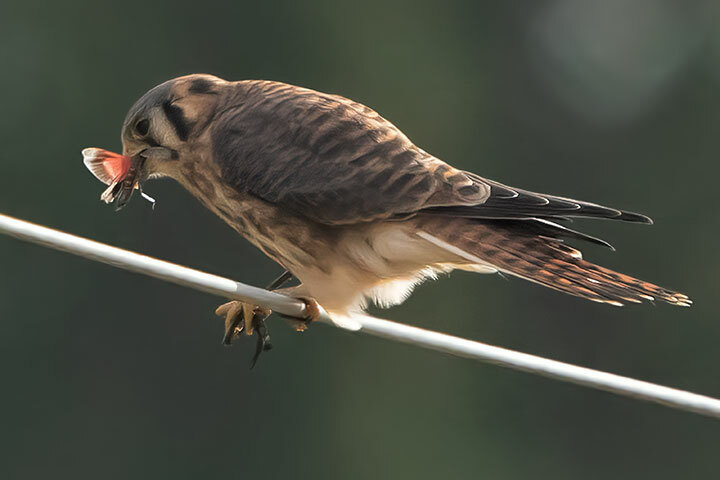 Shirley had some good shots of the Merlin and a meal too! Mary, indeed, it was from Shirley that I learned the location of the Merlin’s tree. What great photos of these two falcons!